In New York City, if you are injured in a traffic accident, and if your injury was the result of another driver’s negligence, you will need to consult an experienced Bronx car accident attorney regarding your legal rights and options. The victims of negligence are entitled to compensation in New York, but the New York law governing personal injuries in traffic collisions is a bit different from the law in most other states regarding fault, liability for damages, and compensation for pain and suffering. No-fault auto insurance coverage is the coverage provided by the policy on the vehicle that you are in when a crash happens. In some cases, that policy also covers you if you are a pedestrian struck by that vehicle. It’s coverage for quantifiable, monetary losses: lost wages, medical treatment, and other injury-related necessities. It is imperative for an injury victim to obtain the proper medical treatment that is required for his or her injuries. No-fault insurance in New York ensures that an injury victim’s lost wages and medical bills are reimbursed without having to prove anyone was at fault, file a personal injury claim against the other driver, or go to court. 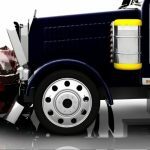 At the same time, however, the no-fault system may make it more difficult in some cases to sue a negligent driver and to recover any damages for pain and suffering. The law in New York specifies that pain and suffering damages may only be paid when a “serious injury” has been sustained. The law spells out nine categories of “serious injuries” including death, disfigurement, permanent disability, and the loss of a fetus. If a victim’s injuries do not meet the law’s narrow definition of “serious,” a lawsuit will be dismissed. If you are injured in traffic in New York and you file a personal injury claim – let’s say a claim for pain and suffering related to a catastrophic injury – you will need to understand “vicarious liability,” because that is the law in this state. Vicarious liability makes a vehicle’s owner legally responsible for the behavior of anyone who is operating the vehicle with the owner’s permission and consent. Most other states’ laws require a driver to be working for the owner – or specify some other restriction – before liability falls on a vehicle’s owner when that owner is not the driver. In the state of New York, provided that the driver has the owner’s permission and consent to use the vehicle – for any reason – the owner is legally responsible for the driver’s negligence. Vehicle owners may offer the defense that a driver did not have permission and consent at the time of an accident, but vicarious liability means that the law presumes a driver had permission, and the burden falls to the vehicle’s owner to prove that the driver did not have permission. WHAT ABOUT CRASHES THAT INVOLVE WRONGFUL DEATHS? 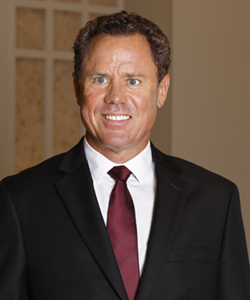 In wrongful death cases arising from traffic crashes, a number of factors must be considered. No-fault auto insurance policies in New York provide a $2,000 benefit toward the cost of a funeral. Family members can also recover damages – with no damage cap – for the conscious pain and suffering of their deceased loved one as well as for the financial loss of their deceased loved one’s future earnings and earning capacity. Survivors cannot recover damages for their own emotional grief after a wrongful death, but there is a provision for the recovery of damages for “loss of parental guidance” that applies to adult survivors as well as younger children. 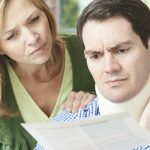 If you sustain a personal injury in a traffic accident in New York City, and if you file a personal injury lawsuit, your case must be handled by an experienced Bronx car accident attorney who focuses on personal injury law and routinely handles similar cases for his or her clients on a regular basis. A good New York personal injury lawyer will review every detail of the case, protect your legal rights, advocate aggressively on your behalf for the maximum available compensation, and will not settle for anything less. After any traffic accident in New York, seek medical attention immediately – even if you do not feel like you’ve been injured. If you have, your attorney should ensure that you receive proper medical testing to determine the full severity and extent of your injury or injuries. Your attorney will gather and examine evidence, question witnesses, and if necessary, consult with crash experts and medical authorities to develop an aggressive, effective legal strategy on your behalf. Especially when an injury is catastrophic or results in a permanent disability, your attorney must insist on the maximum possible compensation. If you have suffered a severe spinal cord injury or a traumatic brain injury, for instance, you can’t go back to the court in ten or twenty years and ask for more money – even if the costs of medical care are skyrocketing. If the case cannot be settled through negotiations outside of the courtroom, a jury will have to estimate your future medical expenses, but in this state, there is no cap on the amount that can be recovered for future medical care or for future pain and suffering. WHY IS IMMEDIATE MEDICAL ATTENTION IMPERATIVE AFTER A CRASH? The injuries sustained in traffic collisions can be life-changing and sometimes deadly. While some injuries might at first seem trivial, they can later develop into serious medical conditions. Medical attention is imperative immediately after any traffic accident because if a medical problem emerges later, and if you need to file a personal injury claim, you must be able to prove that your injury actually happened in the traffic collision and not in some other way. Finally, if you are injured in a traffic accident in or near New York City, do not sign any document, accept any settlement, or make any statement to an insurance company before speaking to a Bronx car accident lawyer. You might unknowingly sign away your right to file a lawsuit, or you might unknowingly accept a settlement that worth far less than what you need and deserve. A good personal injury attorney will protect your rights and make certain that any settlement or verdict is fair, just, and sufficient. 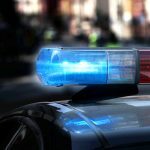 In New York, Do You Need To Report A Car Accident? Can Pain And Suffering Be Calculated In An Auto Accident Claim?